Forget pouring over tiny classified ads print or bulky yellow pages to find a chauffeur. The best driver agency in Bangalore, Chennai, Delhi NCR, Mumbai, Pune, Hyderabad & Ahmedabad solves that problem for you through that smartphone in your hand. 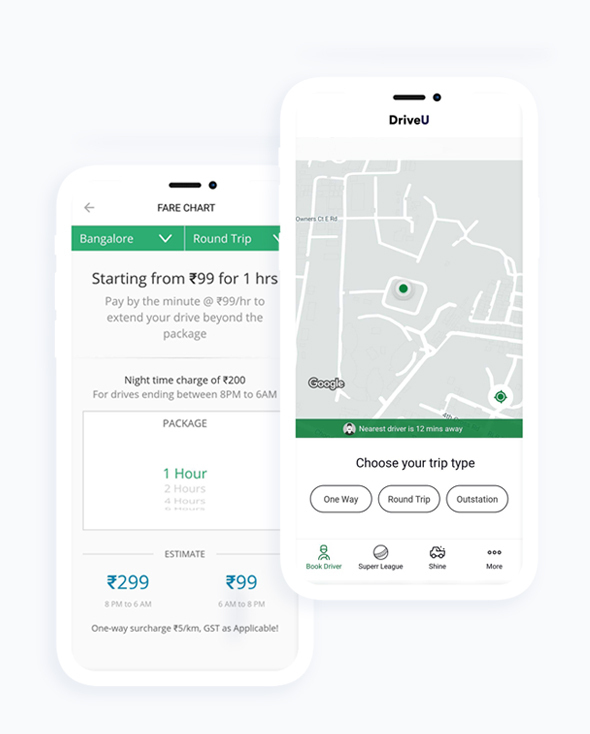 DriveU is here to change the way you travel in the city. We’ve revolutionised how our customers can hire a personal chauffeur and provide our customers with a one-stop solution. 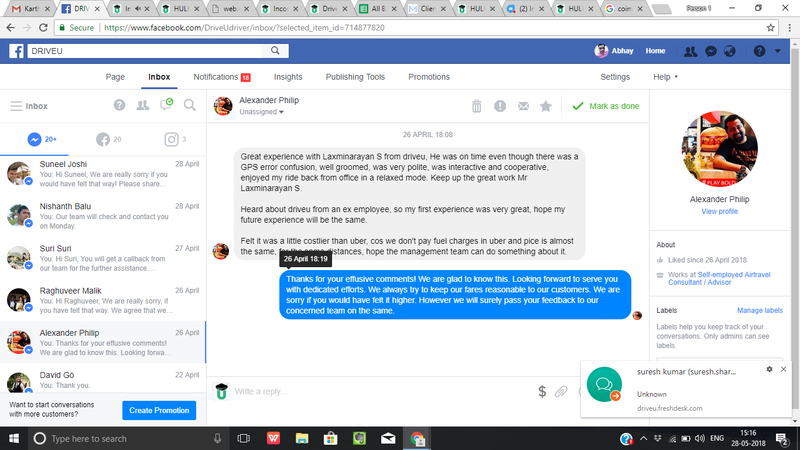 In a few taps on the phone DriveU makes available well-mannered chauffeurs who have undergone rigorous background and criminal checks and etiquette training to make sure that we provide safe and stress-free experience. Enjoy the comfort of travelling in your own car without having to get behind the wheel. At INR 99/hr, DriveU is the most cost-effective option for you. You only pay by the minute after the first hour. If you hire our chauffeurs for 4 hours or longer, you’ll even get a great discount! You can be sure of your safety when you hire a chauffeur from us. Our drivers always wear DriveU uniforms. They even carry floor mats and a seat cover to keep your car clean. Your hunt for reliable drivers ends at our app. Download the DriveU app now.